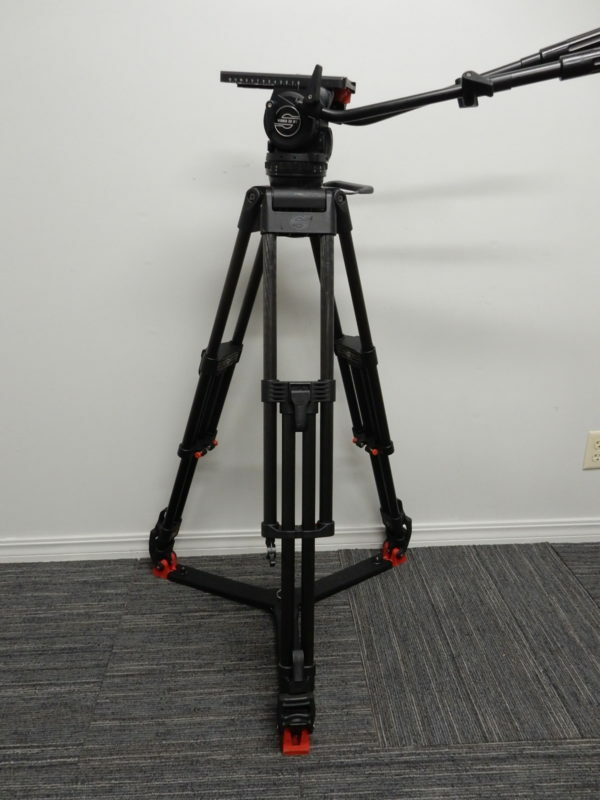 The Sachtler System 20 S1 HD MCF brings together the update of a classic fluid head with a heavy duty, double extension tripod to provide a professional level of support for today’s news-gathering videographer. 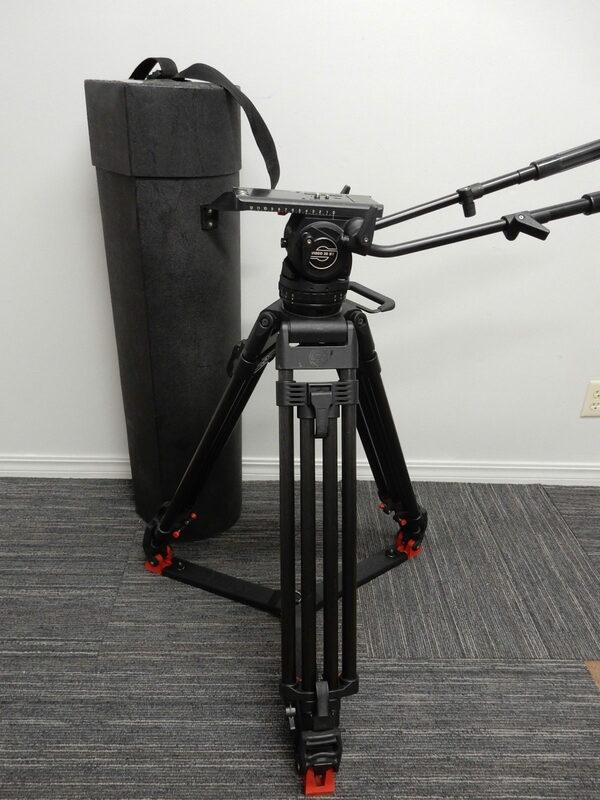 Whether you’re shooting with a large ENG camcorder or the latest video DSLR, this system–which also includes mid-level spreaders, rubber feet, and a padded carry bag–will give you the quick, easy balance and flexible control you need. This relaunch of the legendary Video 20 head incorporates a wider payload range and a faster, simpler balancing system. 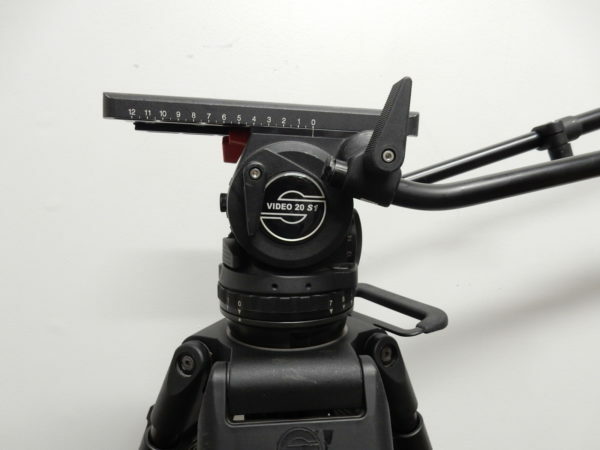 The increased range means that even lightweight cameras–such as video DSLRs–can be used effectively, aided by a 16-step counterbalance system that allows for fine degrees of tuning. 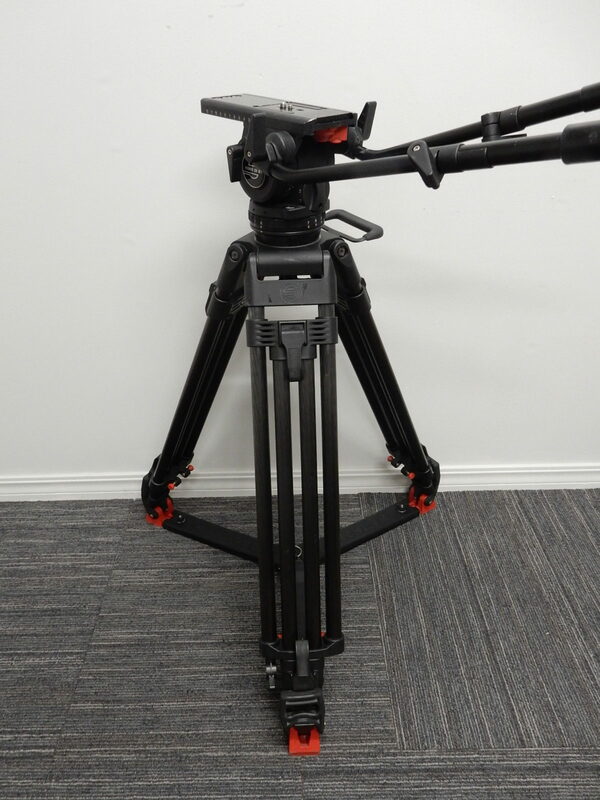 Like its predecessor, the Video 20 S1 can also easily handle heavier ENG and EFP camcorders, with a Boost Button included for sudden shifts in payload range. 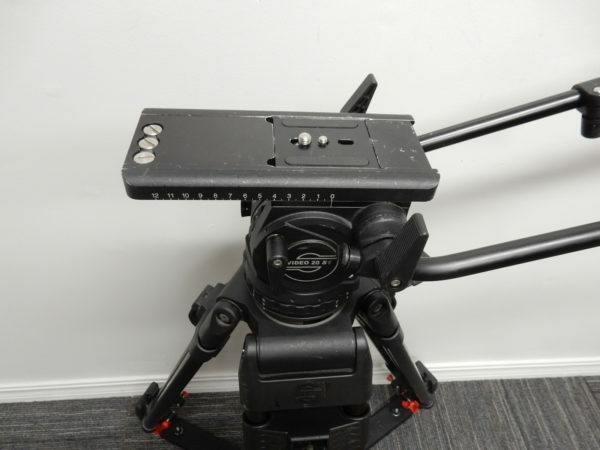 Other features include 7 levels of drag, a self-illuminating bubble level, a Touch and Go plate for speedy mounting and removal, and Sachtler’s already proven Speedbalance technology. 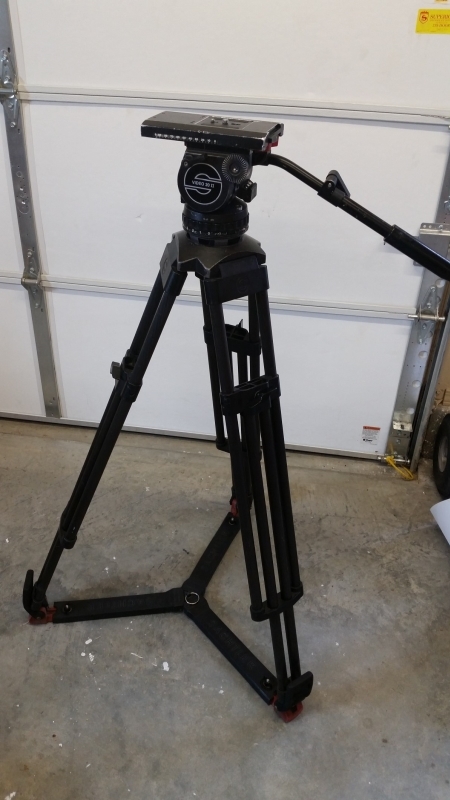 The larger tube diameters of the ENG 2 CF HD (Heavy Duty) tripod add extra stability over the standard CF version while remaining extremely lightweight, solid and stable. Weighing in at just 8.8 lbs (4kg), its completely dual tube design ensures it can safely carry payloads of up to 209 lbs (95kg) even at its maximum height. 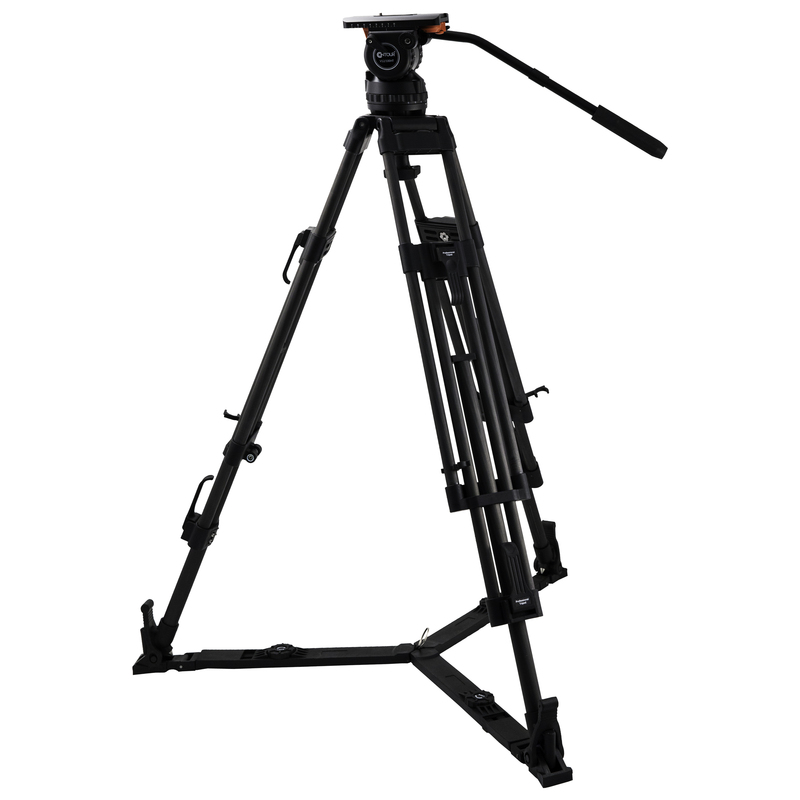 Double extension tripods are ideal for a much wider variety of applications, due to their expanded height range–i.e., lower bottom and higher top positions–which makes transport length even shorter. 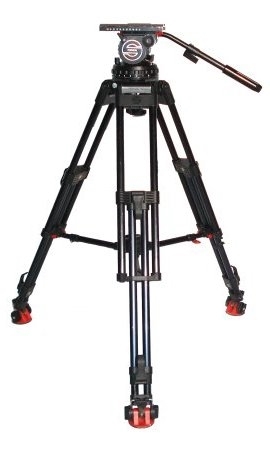 A folding handle lets you easily carry the tripod in a horizontal position, while Sachtler’s quick clamping system means you can securely–and visibly–lock the tripod.